There's a reason Shakespeare is still talked about 400 years later - he wrote great stories! 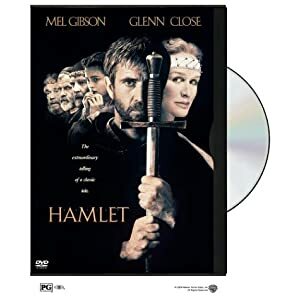 This is one Hamlet adaptation that is not boring and too long. Thanks to the terrific acting of the main and supporting cast, Shakespeare is now cool, hip and updated. The movie focuses on the central character's relationship with his mother, Gertrude. It is a story about murder, insanity, and betrayal. As the story unfolds, you will find yourself in the middle of a very gripping tale that only Shakespeare can deliver. Of course, Mel Gibson certainly brings a lot to the film as well. Nicely done.